Shanghai's Fuxing Park (French Park) is a feast for a photographer: hundreds of locals flock together during the day for a variety of activities. This guy was usually there, playing with coloured ribbons. 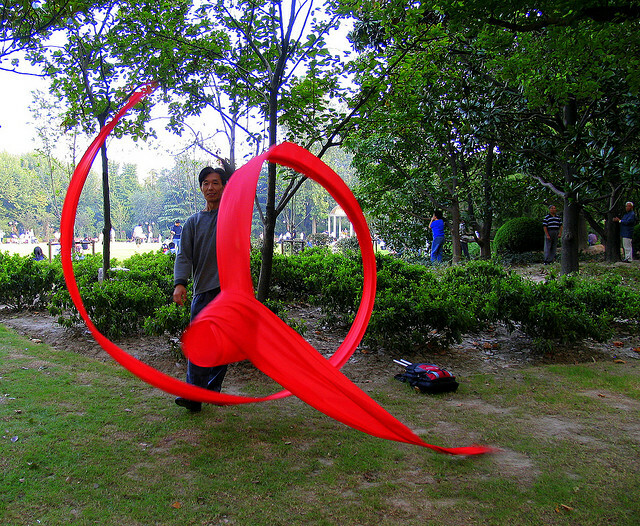 That such a ribbon ended up in a Q shape on the photograph was a nice bonus.